Yes this is a software column (blog), but a) this is summer b) all hardware has an element of embedded software in it and c) some of these stories just need to be told … oh okay and d) it’s the summer ‘silly season’ when news is supposed to get a little thin on the ground. Readers will note that the technology ‘silly season’ doesn’t actually exist and that the technology industry is constantly 24x7x365, but… you get the point. So then, inspired by the Microsoft Intellimouse Explorer 3.0 from 2003, Microsoft has recently released the new Microsoft Classic Intellimouse. 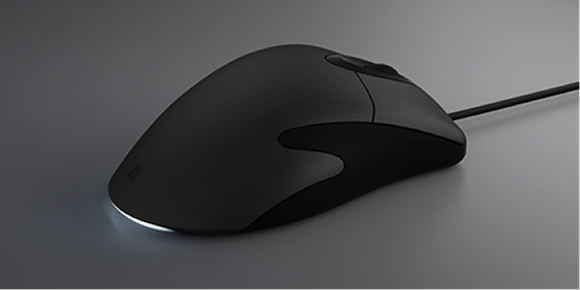 The Intellimouse 3.0 was lauded for its ergonomics due to its the asymmetric from, sculpted buttons and finger rests. The new model is also nice to hold (or so we’re told), but has intelligence inside and additional features made possible by technology today. Microsoft’s Mark Rowland is category lead for accessories on the firm’s devices team. Rowland says that we’ve come along way since the scroll wheel. Although Rowland wouldn’t be drawn on specifics in terms of the embedded software code that sits inside a Microsoft Intellimouse, he did tell the Computer Weekly Developer Network that perhaps the greatest piece of software engineering associated with this product is its Bluetrack abilities. “Microsoft created Bluetrack, a technology that allows for more accurate tracking over that of optical and laser mice. The technology using an improved optical architecture that generates a wider beam of light on the lower side of the mouse. This light enables the mouse to cover more surface and give it the capability to support almost any surface, which laser mice cannot support. This is perfect for gamers who need accuracy,” said Rowland. How much code in a mouse? Although Microsoft’s Rowland wouldn’t offer an estimate on how many lines of embedded software sit inside the new mouse, we do know that Ford indicated that it now has over 150 million lines of code in the F150 pickup. We also know that an average smartphone app has around 50,000 lines of code… a pacemaker has around 100,000 lines of code. But then the Large Hadron Collider uses 50 million lines. All in all we can probably estimate the new Microsoft Intellimouse running somewhere around a figure comparable to a smartphone app. The mouse itself is plug and play for USB 2.0/3.0 slots.